AP EAMCET Result 2016: Jawaharlal Nehru Technological University Kakinada (JNTU-K) is likely to declare Andhra Pradesh Engineering, Agriculture and Medical Common Entrance Test (AP EAMCET) results today on May 9 on the main official website. AP Eamcet 2016 exam had successfully conducted on 29th April. A Large Candidates nearly 2.90 lakh students had appeared for the eamcet 2016. 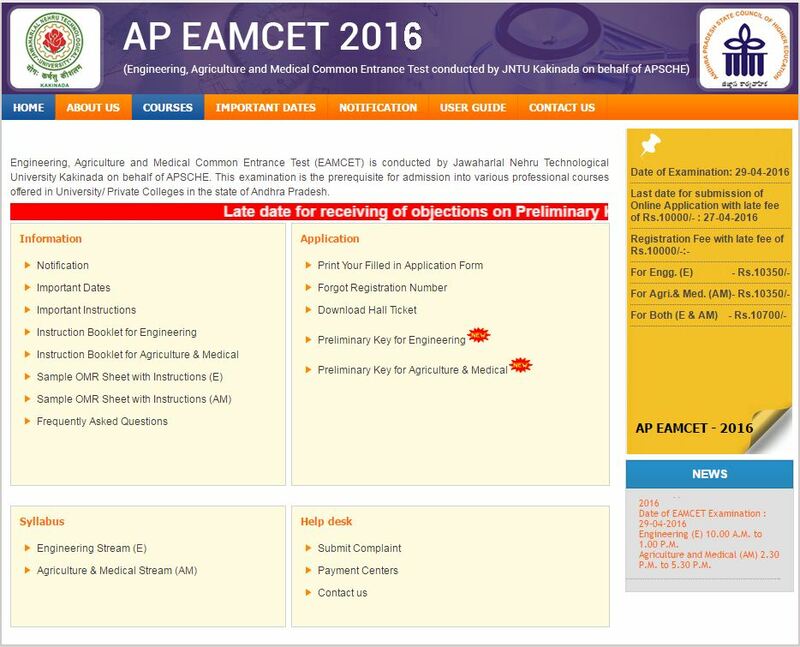 Click on AP EAMCET Results 2016 link. Enter your details like Hall Ticket no. / DOB and submit them. Download and save the AP Eamcet Result Rank card 2016. Jawaharlal Nehru Technological University Kakinada (JNTUK) is the second biggest Technological University in the Country. The University is affiliated with around 273 colleges which offer Engineering/Pharmacy/Management courses. The candidates can view their results on the official websites: apeamcet.org and manabadi.com.